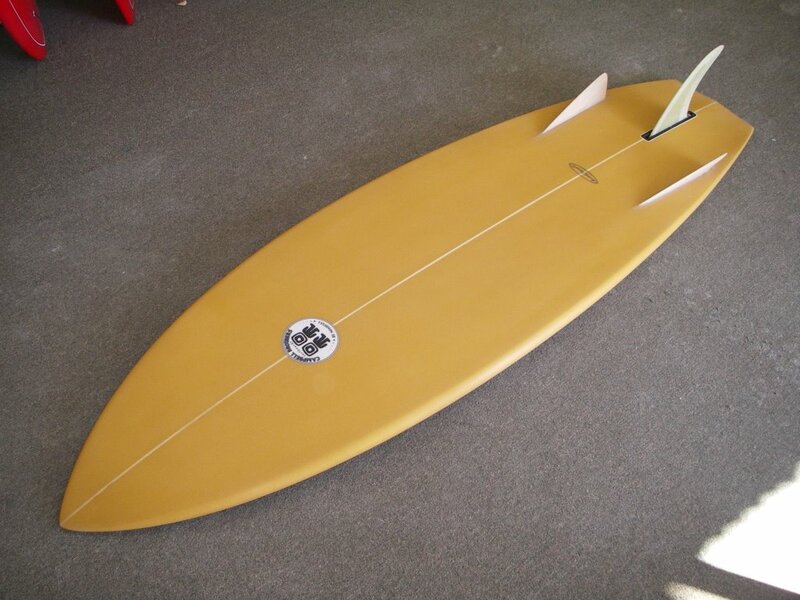 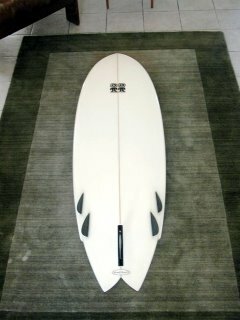 Deck view of Taylor Knox’s 5’10” Bumble Bee Bonzer3. 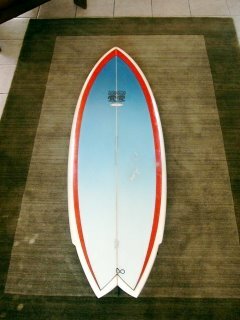 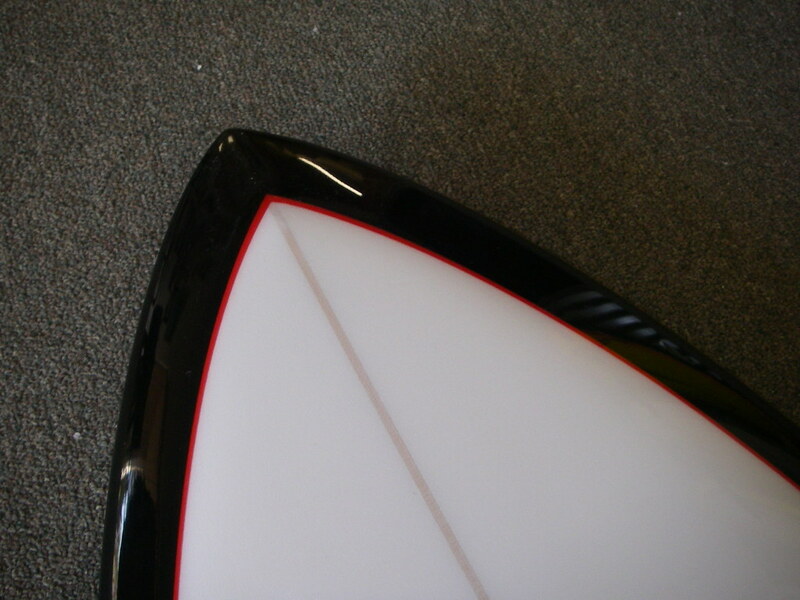 Black opaque resin tint bottom and rails, white opaque deck inlay with a red pinline to keep it tight. 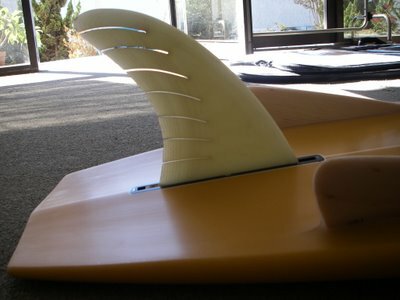 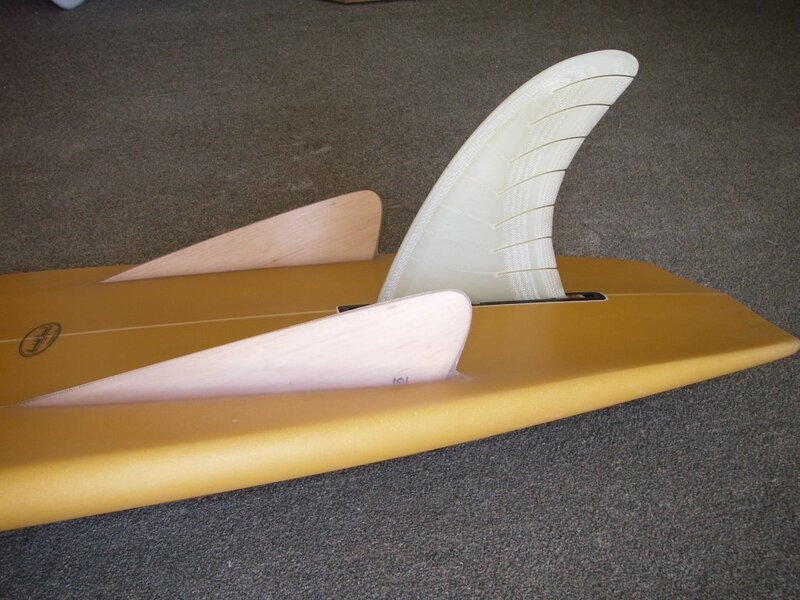 My Dad put his favorite 30 year old fin, the “Feather Fin” in his new Bumble Bee Bonzer. 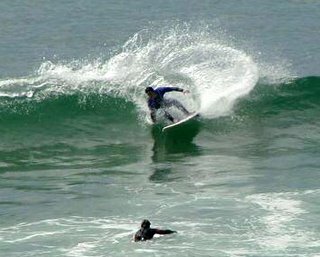 Brian doing some small wave damage on his Bonzer5 Octafish.